Hey guys, as promised, here's the next post that's been waiting to be published for a while now. 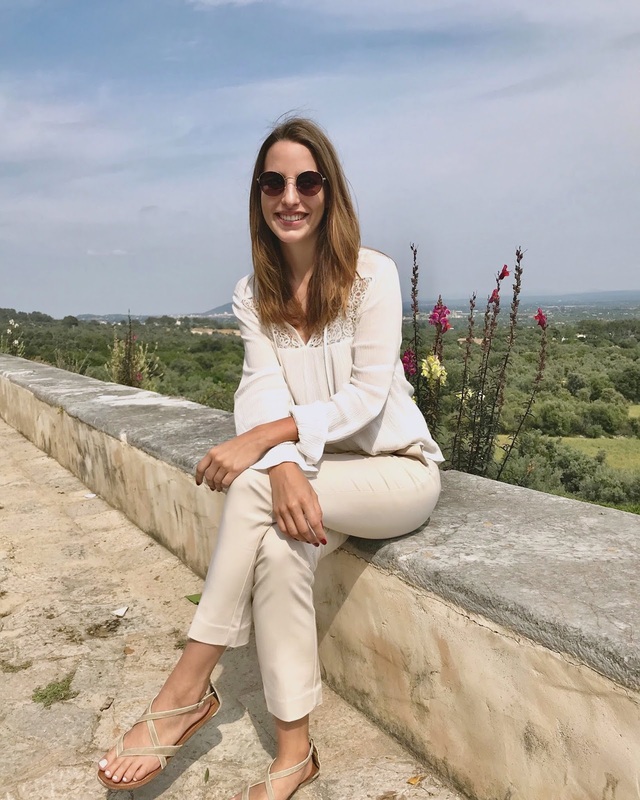 Today I'll take you to a lovely place, Ses Salines in Mallorca, where you will find a really cool restaurant and pretty interior shop. I went there a couple of weeks ago with my boyfriend and my friend Mariella. We spent a lovely Sunday morning at the beach, Cala Mondragó, and visited the town afterwards where we had a fantastic time. After relaxing at the beach for a bit we went to Ses Salines for lunch. We quickly grabbed some typical Mallorquin sandwich at a local bar because we were so hungry and it was quite late for lunch already. After that we headed to Cassai Gran Café and Restaurant. It really is a one-of-a-kind place. A wonderful mix between boho, Mediterranean, vintage and jungle fever. We had three different, all very delicious cocktails and chilled at the restaurant for a bit. It was pretty quiet in the afternoon so the perfect spot to relax. After enjoying our cocktails we went to check out Cassai Home, the beautiful interior shop right across the street from the restaurant. They have fabulous stuff, from beautiful pillow cases to paintings, bags and dresses, lamps and much more. They don't only offer decór but also fashion! I fell in love with almost every single thing I spotted in the store. You can lose hours there admiring every detail. We spent a while at the shop and later headed to the beautiful Cala Llombards, another great beach in the area. If you're in the area of Ses Salines make sure to stop by the amazing Cassai Restaurant and interior shop!